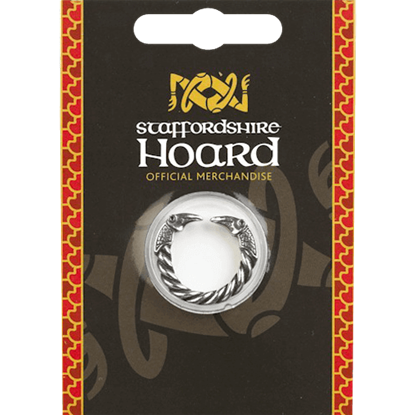 We offer a great selection of Viking rings that are perfect for crafting a stylish look. 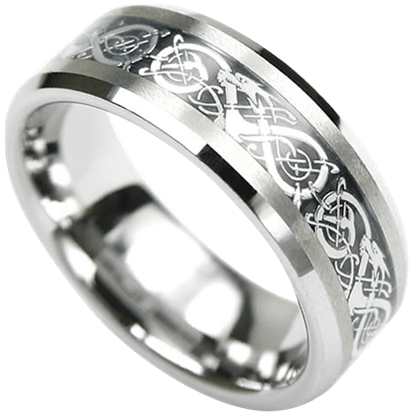 These Nordic rings feature intricate details such as Viking knotwork and runes, as well as elements drawn from Norse mythology. Several of our pieces are replicas of authentic rings found in historical burial sites and treasure hoards. The designs and sizes in this category suit both men and women well. These Scandinavian rings are carefully crafted from a variety of materials including pewter, sterling silver, and gold plating, giving you a number of great options for your look. Borre style knots and art appeared at the latest in 850 as decoration and was still used during the tenth century by Vikings. You can have a piece of this Viking braid work with the Borre Knot with Gem Ring. Vikings used symmetrical braiding similar to that of Celtic knots to decorate things like jewelry, belt fittings, and wood work. You can own a ring inspired by this style with the Borre Silver Ring with Ellipse Gem. Ancient Norse sagas say the All-Father Odin sacrificed one of his eyes in order to gain infinite wisdom. 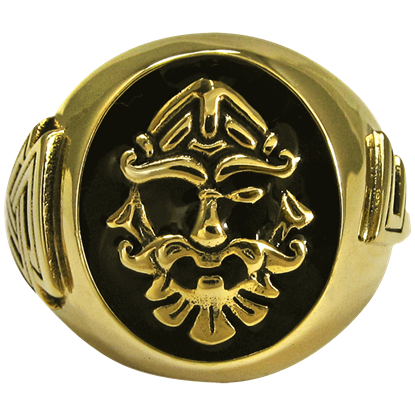 The Bronze Odin Valknut Signet Ring features the stylized, one-eyed visage of the powerful Norse god upon its oval shaped face. 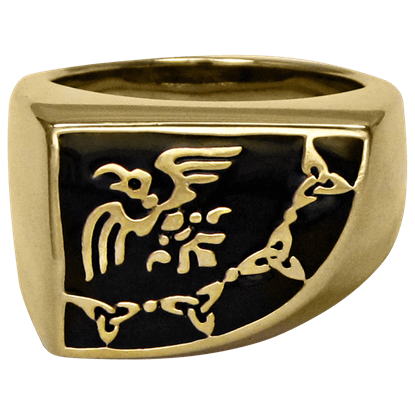 The Bronze Raven Banner Ring shows the symbolic flag used by various Viking chieftains during the 9th to 11th centuries. 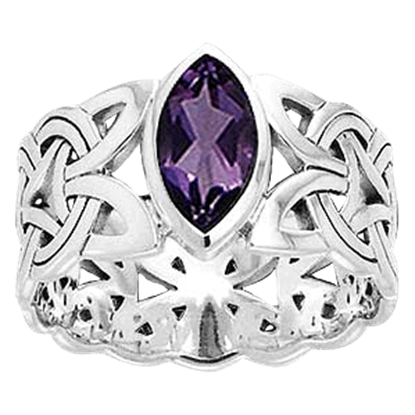 The rounded, faintly triangular face of the Norse ring shows a raven flying above a pattern of triquetra knots. In Norse mythology, Thor is known as the god of thunder, lightning, storms, strength, protection, oak trees, healing and fertility. 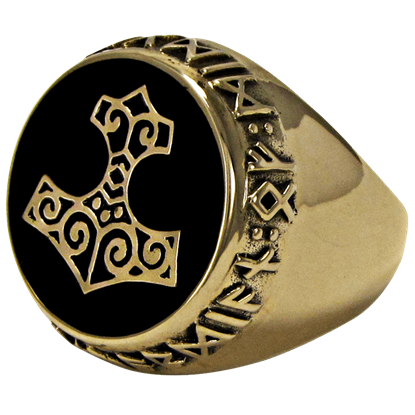 The Bronze Thor Hammer Ring displays the tool with which he makes thunder and protects mankind. The dragon was a revered figure in Viking mythology, appearing often in the jewelry and artwork of the Norse. Honored for its ferocity and fearlessness, the beast of the Dragon Scroll Tungsten Ring lends power and elegance to any look. Sometimes, it is the smallest touches that can create the biggest effects. 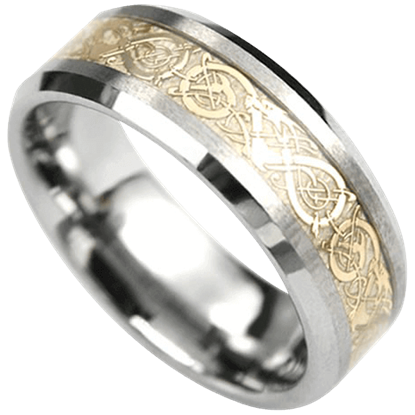 This Gold Inlay Viking Ring is the perfect way to add the quality of gleaming gold and the appeal of Viking design into your daily or special event wear. 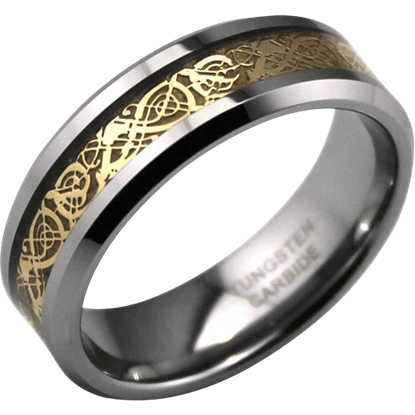 Let the art and lore of the Vikings add power and elegance to any look with the Golden Dragon Scroll Tungsten Ring. The fantastic reptilian beast that decorates its wide band was a revered figure in classic Norse myth and legend. Jewelry appeared in Viking culture as a status distinguisher, mainly seen in the apparel of the upper classes. 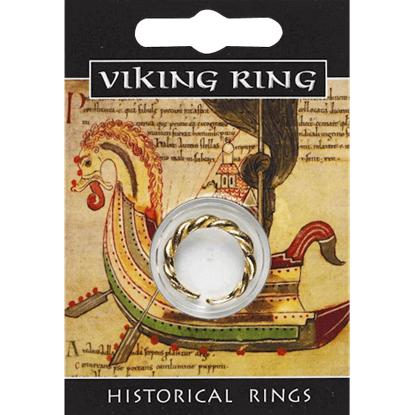 Men and women both wore metal jewelry, potentially similar to the design of the Golden Viking Twist Ring. 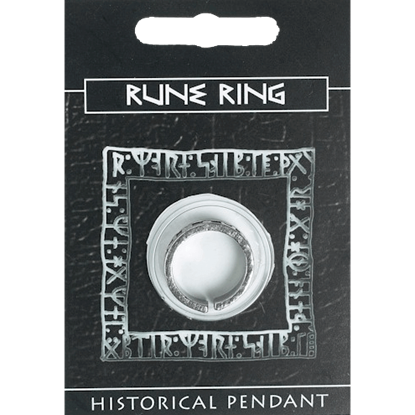 Rune inscriptions are a simple alphabet used by early Germanic peoples such as the Vikings. 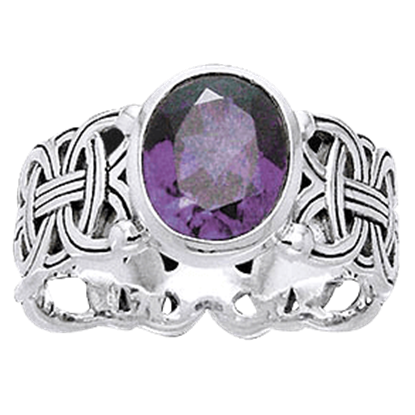 The Pewter Rune Gem Ring features a colorful accent gem on top of the gleaming pewter band, which includes a small opening in the back. The runes left behind by Viking cultures are much more than just a system of writing. 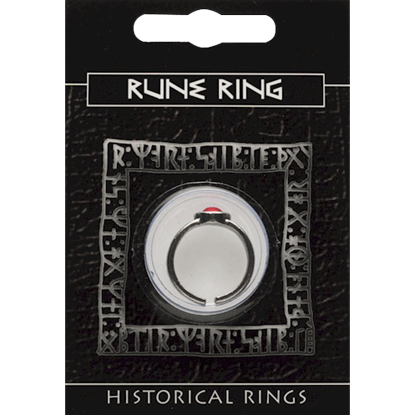 This Pewter Rune Ring features a sample of runic lettering, and comes on a full-color blister card that features information on Viking runes. Modeled after a piece of jewelry found in the largest hoard of Anglo-Saxon treasure ever found, this Pewter Staffordshire Hoard Eagle Ring is a simple yet attractive piece that looks great with a wide variety of styles on men and women.